Changes in behaviour of some family members cause a tremendous tension in the mansion! The end of Bride of Istanbul (Istanbullu Gelin) episode 22 was tense because Esma Sultan learned that Faruk went shopping with his son and immediately organized a family dinner at Begün's house. At the end of episode 22, we saw Faruk and his son Emir how arrives at Begun's house and how shocked is he to see his family at dinner, except the woman of his life. And on the other hand at the mansion we saw Sürreya how enthusiastic she goes into the mansion, knowing she's going to have a family dinner. And how disappointed she was to see the empty table and find out that all the family is having dinner at Begun. Esma Sultan surprised everyone with her new decisions! The bride of Istanbul episode 23: Süreyya being very angry at Faruk for not telling her about the intention of a family dinner at Begun. Then she leaves the mansion with Dilara, who is depressed and invites her to the club. Sureyya's first instinct is to tell Faruk by an SMS the reason for leaving. But she changes her mind to give him explanations and sending only a notice that she is leaving. Faruk being aware that 'surprise dinner' will upset Sureyya, he does his best to announce her. But the phone seems flawed because it does not load anymore. Finally, he called his wife from Osman's phone but Sureyya seeing Faruk didn't even answer the message, and only her brother-in-law worries, she doesn't answer. At the club: Sureyya is depressed, then dring and get drunk. After that she and Dilara share with each other what they have on the soul, mentioning the misunderstandings that occurred in the couple relationships. After Faruk falls asleep on the little Emir, he goes to his wife in the club. Dilara tries to explain to Faruk that she insisted Sureyya to accompany her. The bride of Istanbul episode 23: On the other hand, Dilara's marriage with Adem is not going well because he is a man who can not cope with childhood trauma and is in a relationship of dependence with his mother. Dilara arrives at home with a taxi, and when Adem sees her on the window he gets angry. When Dilara arrives in the house Adem wishing to ask her why she did not answer the phone and the reason she gets drunk, suddenly pulls her hand when she climbs the stairs and falls. He immediately apologizes to her, trying to explain how worried he was not to do anything wrong with her. But Dilara was full of misunderstandings between them because of her mother-in-law, tells him to leave her alone and not to touch. 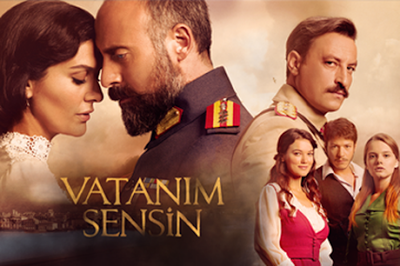 At the mansion, Faruk always protects his beloved woman, and despite the diabolical plan set up by Esma Sultan and Sureyya's escape in the club, there are still some tender moments between the two lovers. Faruk is amused by seeing his wife drunk and when Sureyya comes out of the bedroom, Esma appears and immediately reprimands her. My mother-in-law is a shrew: Sureyya being drunk, does not hesitate to show her tongue to mother-in-law when sultan turns her back (very funny sequence). After that, Sureyya's evening ends with a romantic night in the bedroom with her husband. Esma Sultan continues to struggle to make Sureyya stop trusting Faruk! On the other hand, Ipek has pains and Fikret wants to make an appointment to Begun, but his wife tells him she's fine now. The two are leaving the room and Esma Sultan, who is very angry because Fikret has dinner with Adem, warns her son that Adem is using him and forbids him from seeing that man again. Koray's birthday came and Bade didn't have an evening dress. She asks for Sureyya's help, and Murat becomes even more jealous when he hears the conversation. 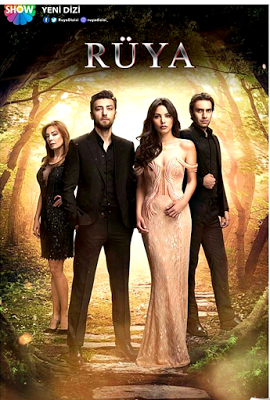 The bride of Istanbul, episode 23 synopsis: The terrible event that happened that night will pass on Süreyya through the 'biggest test of her life'! Ipek is very envious of Süreyya, she has a quarrel and cares to hurt her, telling her that there are several family members in the mansion who are against her. During the conversation with Süreyya, which is deeply affected by those words, Ipek is unbalanced and falls on the stairs. All the family members hear the noise and when they get there look with a feeling of guilt at Süreyya. ◊ Will Ipek lose the baby?